A powerful psychedelic brew consumed by shamans deep in the Amazon could help in the fight against cancer and should be researched, according to a Brazilian scientist. Ayahuasca — meaning the “vine of the souls” – is traditionally prepared using the Banisteriopsis caapi vine and Psychotria viridis leaves, though other combinations of plants are sometimes used. Psychotria viridis contains N,N-dimethyltryptamine (DMT) in the leaves, while Banisteriopsis caapi contains beta-carbolines such as harmine and harmaline. Eduardo E. Schenberg of the Federal University of Sao Paulo thinks some of the healing powers attributed to ayahuasca deserve scientific attention, particularly when it comes to cancer. Rumors of ayahuasca helping people with cancer are common, according to Schenberg, and there are at least nine case reports of cancer patients using ayahuasca during their treatment. Of these nine reports, three showed improvements after consuming the psychedelic brew. Rumors and less than a dozen case reports are hardly substantial evidence. But the physiological effects of the drug suggests there might be some truth behind them, Schenberg said. DMT produces a powerful psychedelic experience by binding to serotonin receptors in the brain. More importantly, for Schenberg, the drug also binds to the sigma 1 receptor, which is found throughout the body and is involved in many cellular functions. The sigma 1 receptor appears to be implicated in the death signalling of cancer cells. In addition, harmine has been shown to induce the death of some cancer cells and inhibit the proliferation of human carcinoma cells. Other physiological factors suggest the combination of DMT and harmine could have medically-important antitumor effects, though more research is need. DMT is currently prohibited as a Schedule I drug by the U.S. Controlled Substances Act and the international Convention on Psychotropic Substances. The drug is relatively unknown compared to other illicit substances like cannabis, but researchers have found that DMT appears to be increasing in popularity. “If ayahuasca is scientifically proven to have the healing potentials long recorded by anthropologists, explorers, and ethnobotanists, outlawing ayahuasca or its medical use and denying people adequate access to its curative effects could be perceived as an infringement on human rights, a serious issue that demands careful and thorough discussion,” Schenberg wrote. Scientists have determined that stardust contains water, a discovery that suggests the universe is rife with life. 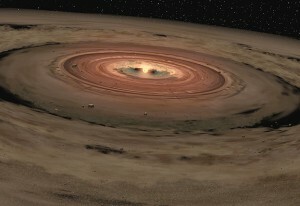 Although scientists have previously suggested that dust grains floating through our solar system contain water, it has actually been detected for the first time in the results from a recent study. A research team that includes John Bradley of the Lawrence Livermore National Laboratory in California inspected the outer layer of interplanetary dust particles collected from Earth’s stratosphere. Using ultra-high-resolution microscopy, the team inspected the tiny specks of space dust and discovered pockets of water just beneath the surface. A line of scorched buses and trucks mark the boundary between protestors and police as unrest continues in Kiev, the capital of Ukraine. So far, over two hundred demonstrators, journalists, and police have been injured and/or hospitalized. The situation began in November as Ukranian President Yanukovych made the decision to freeze ties with the European Union and seek a large bailout from Russia. This decision generated mostly peaceful protests, which increased in size and intensity after police used violence to disperse demonstrators on two occasions. On Tuesday, the UN’s High Commisioner for Human Rights, Navi Pillay, called the situation in the Ukraine “very worrying” and said the government should suspend the laws. “I call on the authorities to suspend application of the laws to allow time for a thorough review of their content which must be in full compliance with international human rights standards, in particular Ukraine’s obligations under the treaties it has ratified,” she said in a statement. According to a the ACLU and the New York Times, demonstrators are now receiving text messages saying “Dear User, you have now been registered as a riot attendant.” A scare tactic the government is trying to use to quell protests. (CNN) — Did Mars rover Opportunity order a jelly doughnut? Not quite, but scientists are baffled by a white rock with a dark red low spot in the middle that “just plain appeared at that spot” on the planet where the rover is situated, says Steve Squyres, lead scientist of the Mars Exploration Rover mission. In recent weeks, Opportunity took photos of the same spot on Mars, 12 days apart. The rover’s panoramic camera showed only barren bedrock on mission day 3528 (in Mars time), but on day 3540, a photo of the same scene revealed the mysterious, doughnut-shaped rock. Squyres showed photos of this ghostly geological dessert at a recent NASA event celebrating 10 years since the Spirit and Opportunity rovers landed on Mars. Spirit’s mission ended in 2010 after losing the use of two wheels, and ceasing to communicate. But Opportunity is still chugging along and finding new surprises, such as this rock. “One of the things I like to say is that Mars keeps throwing new things at us,” Squyres said at the event, gesturing toward the rock photo and laughing. The photos of the outcrop showing the absence, and then presence, of the pastry-sized rock were taken 12 days apart. The rover had not driven over that spot, Squyres said. There are two leading theories about where the rock, called “Pinnacle Island,” came from. Neither of them include the possibility of an intergalactic Dunkin’ Donuts. The most likely scenario is that Opportunity flicked the rock with one of its wheels. “We had driven a meter or two away from here, and somehow maybe one of the wheels, kind of, managed to spit it out of the ground, and have it slide to this position,” Squyres said. Alternatively, there could be a smoking hole in the ground nearby and the rock could be a piece of crater ejecta, or piece of matter spewn from the hole. Squyres doesn’t think this is likely, however. Opportunity is now studying the mystery rock more extensively, making measurements and taking pictures. Its instruments have shown scientists that the “jelly” part is “like nothing we’ve ever seen before,” Squyres said. It’s very high in sulfur and magnesium, and it has twice as much manganese as has ever been seen in anything on Mars. “We’re completely confused, we’re having a wonderful time, everyone on the team is arguing and fighting,” Squyres said. Spirit landed on January 4, 2004, followed by Opportunity on January 25, 2004. Their primary missions were designated for a mere 90 days, but both far outlasted that target. Squyres said he used to think that no matter how long the rovers lasted, at some point there would be a point in the mission where the team could say “We’re finished” — that they had learned everything could about Mars with those particular vehicles. But the Red Planet isn’t like that. “There will be something tantalizing, something wonderful just beyond our reach that we didn’t quite get to, and that’s the nature of exploration,” he said. Opportunity has otherwise encountered scientifically important phenomena during its decade of investigation. At Endeavor Crater, where it is today, the rover found clay minerals that form in watery conditions, and indicate that water with a neutral pH could have once been there, which would be conducive to microbial life if there had been any. Endeavor has also unveiled veins of a mineral that appears to be gypsum, which is deposited by water. Opportunity is not the only robot roaming Mars. NASA’s 2-ton Curiosity rover, which landed in 2012, has an even more powerful suite of scientific instruments. Because of Curiosity’s findings, NASA announced for the first time last year that life could have existed on Mars. NASA is planning another rover mission in 2020 — and that future robot could, possibly, collect samples that would later return to Earth for further study. Such sophisticated technologies will help us see what other mysterious “sweets” the planet can deliver. In Search For Habitable Planets, Why Stop At ‘Earth-Like’? of its star. Some researchers think there might be “superhabitable” worlds that may not resemble Earth. In their hunt for potentially habitable planets around distant stars, scientists have been so focused on finding Earth-like planets that they’re ignoring the possibility that other kinds of planets might be even friendlier to life, a new report says. So-called superhabitable worlds wouldn’t necessarily look like Earth but would nonetheless have conditions that are more suitable for life to emerge and evolve, according to the study published this month in the journal Astrobiology. But it’s possible that Earth is actually only marginally habitable by the standards of the universe, says Heller, who points out that our home may not represent a typical habitable world. Such planets would most likely be older than Earth and two to three times bigger, the researchers say. And they would orbit stars that are somewhat less massive than our sun. Any liquid water wouldn’t be in a giant, deep ocean, but would be scattered over the surface of the planets in shallow reservoirs. The planets would need a global magnetic field to serve as protection from cosmic radiation, and they would probably have thicker atmospheres than the Earth does. So far, scientists have detected about a thousand planets orbiting other stars. Current technology usually can’t reveal much about them — just a planet’s size, density and how far it orbits from its host star. Planets are said to be in the “habitable zone” when their surface temperatures would potentially allow liquid water to exist on the surface. Ancient medicines, new molecules, interviews from researchers at universities like John Hopkins, UCLA, NYU; neurochemistry, neurotheology, shamanism and psychotherapy; Ayahuasca, LSD, Cannabis, Psilocybin, MDMA — all potent tools for getting to know who we are, who we can be, and for healing the trauma of a society that is addicted to greed and consumerism — Neurons to Nirvana covers it all and the proverbial more. In an age where a film like Neurons 2 Nirvana can be powered by the people, we are counting on you to help bring this information to world, and see to it that these astounding plants, molecules, and ancient vehicles of transformation are liberated from the ignorance and repression of the status quo. As a civilization and as individuals — we can no longer afford to lose the lessons that they can bring. Neurons 2 Nirvana dares to break the taboo surrounding psychedelic medicines, examining and revealing their proven potential to heal and alleviate suffering on a global scale. With your help, we can expand the awareness of what these mind revealing substances can contribute to our collective well-being. Please help us by donating what you can and by helping us share the campaign far and wide. Documents leaked by NSA whistleblower Edward Snowden conclusively prove that the United States has been ruled by a race of tall, white space aliens who also assisted the rise of Nazi Germany in the 1930s. These revelations about our alien overlords might not cost you any sleep. But the part that should concern you a tad is that the UFO storywas just published by the Fars News Agency, the English-language news service of Iran, a nation that may be very close to acquiring nuclear weapons. This being a crazy conspiracy theory, naturally the Russians are behind it. The alleged alien invasion was revealed in a report by Russia’s FSB spy agency, which found “incontrovertible proof’ that an ‘alien/extraterrestrial intelligence agenda’ is driving U.S. domestic and international policy, and has been doing so since at least 1945,” said the Iranian news service. Any good conspiracy theory needs a patina of truth, a bit of intellectual cover to camouflage the craziness. In this case, the whatdoesitmean.com/Fars story cites Paul Hellyer, the 1960s Canadian defense minister who is now a fervent UFO activist. Hellyer allegedly has confirmed the accuracy of Snowden’s UFO leaks. This is almost a funny story, until one remembers that Iran is a moderately powerful nation of 76 million people, with a possible nuclear arsenal, relatively large conventional military power, extensive terrorist capabilities through its intelligence agencies and Hezbollah, and a fundamentalist government that could easily engage in hostilities against the U.S. Laugh if you will at conspiracy theories, but they offer explanatory value for their believers, a way of making sense of why things happen, even if it is a funhouse-mirror explanation of the world. The Fars News Agency is reportedly affiliated with Iran’s influential Revolutionary Guards, which suggests that either Iran is either desperate to smear the U.S. any way it can, or there indeed is a very peculiar view of U.S. politics at the highest levels of the Iranian government. If there is a bright spot to this as well as a funny bone, it’s that the goal of U.S. policy is to contain and neutralize Iranian influence. So, perhaps it’s not necessarily a bad thing that Tehran thinks its main adversary is backed by the power of space aliens. It’s good to have friends in high places, even if they have two heads. Famous movie pundit Roger Ebert was often claimed by others as an atheist, although his own opinion was that he disliked his convictions being reduced to one word or label. Ebert’s real ‘religion’, I think, was summed up by his admission that he had “spent hours and hours in churches all over the world…not to pray, but to gently nudge my thoughts toward wonder and awe” – a position many readers here would probably feel aligned with. On April 4, he was strong enough again for me to take him back home. My daughter and I went to pick him up. When we got there, the nurses were helping him get dressed. He was sitting on his bed, and he looked really happy to be going home. He was smiling. He was sitting almost like Buddha, and then he just put his head down. We thought he was meditating, maybe reflecting on his experiences, grateful to be going home. I don’t remember who noticed first, who checked his pulse… In the beginning, of course, I was totally freaked out. There was some kind of code thing, and they brought machines in. I was stunned. But as we realized he was transitioning out of this world and into the next, everything, all of us, just went calm. They turned off the machines, and that room was so peaceful. I put on his music that he liked, Dave Brubeck. We just sat there on the bed together, and I whispered in his ear. I didn’t want to leave him. I sat there with him for hours, just holding his hand. Roger looked beautiful. He looked really beautiful. I don’t know how to describe it, but he looked peaceful, and he looked young. The one thing people might be surprised about — Roger said that he didn’t know if he could believe in God. He had his doubts. But toward the end, something really interesting happened. That week before Roger passed away, I would see him and he would talk about having visited this other place. I thought he was hallucinating. I thought they were giving him too much medication. But the day before he passed away, he wrote me a note: “This is all an elaborate hoax.” I asked him, “What’s a hoax?” And he was talking about this world, this place. He said it was all an illusion. I thought he was just confused. But he was not confused. He wasn’t visiting heaven, not the way we think of heaven. He described it as a vastness that you can’t even imagine. It was a place where the past, present, and future were happening all at once. As I noted in my recent book Stop Worrying! There Probably is an Afterlife, the fascinating phenomena associated with end-of-life experiences (ELEs), such as deathbed visions, aren’t restricted to occurring in the minutes or seconds before passing…they can occur, days, weeks and sometimes even months before. I’d love to hear more from Chaz Ebert about what Roger experienced and described, because it certainly does sound like he had visions of a some kind of ‘other’ place that his consciousness was transiting to.